This entry was posted on September 7, 2017 at 7:19 pm and is filed under Roland Buti. You can follow any responses to this entry through the RSS 2.0 feed. You can leave a response, or trackback from your own site. Very interesting review, Grant. I like that the weather parallels the themes in the book. I will add this one to the ever growing TBR list. I hope you get a chance to read it – I only touched on some aspects of the novel and it deserves a few reviews. It sounds very good, and Mandell is a talented translator. Why set it in 1976 do you think? I suppose it does avoid having to write about what Gus is up to on Instagram and Snapchat which otherwise might reduce the sense of the whole thing as a pressure cooker. 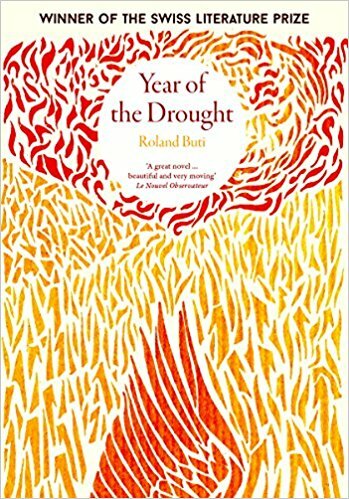 There was a heatwave in Europe in 1976 and, although I can’t find Buti’s date of birth, having seen him it’s certainly the case that some of the novel is autobiographical. Oh, this does sound good. I’m intrigued by the 1976 setting: I know there was a heatwave in the UK; was there one on the continent too? Yes, apparently, though I suspect our ever parochial UK media didn’t report it! Interesting–hadn’t even heard of this. I was in Switzerland that summer–though not old enough to remember how hot it was. Thanks for bringing this to my attention. What an interesting coincidence! I don’t know if I would have heard of the novel either if I hadn’t seen Buti at Edinburgh alongside Adam Thorpe.